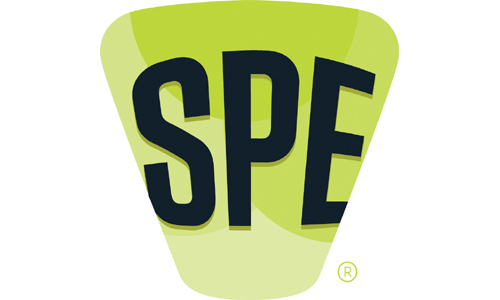 BETHEL, CT, U.S.A., March 17, 2015: During this month’s Society of Plastics Engineers (SPE) ANTEC® 2015, SPE will honor the newest Fellows of the Society—members who have made outstanding contributions in plastics science, engineering, or management. ANTEC 2015 will take place March 23-25, 2015 at the Orange County Convention Center in Orlando, FL, U.S.A. and will be co-located with the NPE2015 international plastics show. Candidates for the Fellows honor must be sponsored by an SPE Division or Special Interest Group. The SPE Fellows Election Committee considers eligible candidates on the basis of a personal history as well as written sponsorships from two SPE members. Only 309 members, counting the newest inductees, have been elected Fellows since the honor was established in 1984. ● Len Czuba, president of Czuba Enterprises, Inc., a Chicago-based medical device product development consultancy. He works with clients to take products, especially medical devices, from concept to production. His primary focus is in the selection and processing of plastics and biomedical polymers. He holds 15 US patents, including several for PVC replacement materials. ● Dr. Hani E. Naguib, Professor at the University of Toronto and holder of the Canada Research Chair in Smart and Multifunctional Materials. He is the director of the Toronto Institute for Advanced Manufacturing. His major expertise is in the manufacture of emerging materials including smart and active materials, macromolecules and composites, and bio-based materials. ● Dr. Maureen T.F. Reitman P.E., Corporate Vice President and Principal Engineer at Exponent, and Director of the company’s Polymer Science & Materials Chemistry Practice. Her research focuses on polymer structure-property relationships and the effects of formulation, manufacturing, and environment on performance. She holds three patents and regularly publishes in the peer-reviewed literature. ● Jose Timmerman is Executive Vice President of Supply Chain at Tupperware Brands Corporation. In over 40 years at Tupperware, he has focused on the development and training of engineers, excellence in new product development, manufacturing of masterbatches, development of silicone manufacturing for large parts, and the development of modular molds. He spearheaded process automation and optimization using central resin distribution systems, automatic part removers, centralized part inspection, and packing systems.